Human remains after death are to be quickly prepared for burial, and not abused by anyone, no matter their "credentials". If there is a definite need for an examination to determine how they died or who may have caused their death, this should be done with utmost promptness and care. Certainly, cremation destroys the body. 1Co 3:16,17: "Do you not know that you are a Dwelling Place of Alahim and that the Spirit of Alahim dwells in you? If anyone destroys the Dwelling Place of Alahim, Alahim shall destroy him. For the Dwelling Place of Alahim is set-apart, which you are." 1Co 6:19,20: "Or do you not know that your body is the Dwelling Place of the Set-apart Spirit who is in you, which you have from Alahim, and you are not your own? For you were bought with a price, therefore esteem Alahim in your body and in your spirit, which are of Alahim." Cremation is not a customary method of disposing of a human corpse according to Scripture. Abraham bought a site for his wife's corpse to be buried. Yahuah buried the body of Mosheh in a secret location. Cremation is one of the customs derived from the worship of Molok (or Baal), a deity of the Ammonites, Edomites, and Moabites. Human sacrifice and cannibalism (eating of the charred remains of the dead) were practices of those who opposed the living Alahim, Yahuah. Even the word "cannibal" refers to the "priests of Baal" (cahn / cohen + Baal). TITLE LXII - Source. 1971, 518:1, eff. Nov. 1, 1973. 644:7 Abuse of Corpse. – A person is guilty of a misdemeanor if he unlawfully removes, conceals or destroys a corpse or any part thereof. Advertisements solicit people to sign the back of their driver's license so that there eyes, organs, and other tissues can be recycled in order to save the lives of people waiting for these body parts. Motorcycle helmet laws have been relaxed in order to increase the availability of more body parts. Some people that die in hospitals are quietly operated on without the family knowing it, to remove organs that fetch very high prices. In other situations, people are drugged at a bar, and wake up in a strange place, only to discover one of their kidneys is missing (if they wake up at all). 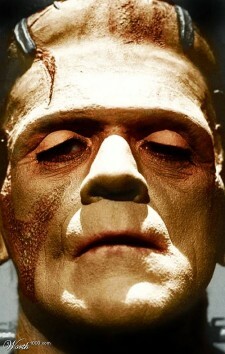 The real-life version of "Frankenstein" by Mary Shelley seems to be all around us today. The nation of China is literally "harvesting" body parts to sell to modern-day Dr. Frankensteins. Somehow we overlook the fact that we are abusing a corpse when we cremate it, or hack it apart for the extra parts we find useful. If a "doctor" removes body parts from one person and stitches them to another, we're being conditioned to think it is a wonderful thing. Rev 18:8-19: “Because of this her plagues shall come in one day: death and mourning and scarcity of food. And she shall be burned up with fire, because Yahuah Alahim who judges her is mighty. and cinnamon and incense, and fragrant oil and frankincense, and wine and oil, and fine flour and wheat, and cattle and sheep, and horses and carriages, and bodies and lives of men. “And the fruit that your being longed for has gone from you. And all your riches and splendor are lost to you, and you shall find them no more, not at all. “The merchants of these, those who became rich by her, shall stand at a distance for fear of her torture, weeping and mourning, and saying, ‘Woe! Woe, the great city that was dressed in fine linen and purple and scarlet, and adorned with gold and precious stones and pearls! “And they threw dust on their heads and cried out, weeping and mourning, and saying, ‘Woe! Woe, the great city, in which all who had ships on the sea became rich by her wealth! For in one hour she was laid waste.’"